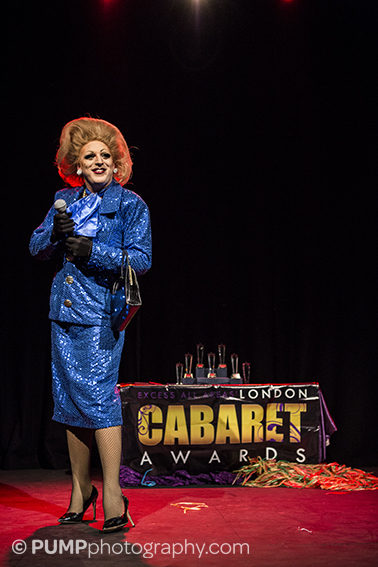 This is the third year of the London Cabaret Awards, which exists to honour and recognise the work produced in London’s wide, varied and vibrant cabaret scene, and to bring it to the attention of a wider audience. It is the brainchild of Paul L. Martin, well known promoter of cabaret and cabaret acts, and director of entertainment agency Excess All Areas, who produce the Awards. The way it works is that Excess All Areas appoint a panel of five judges, each of whom are involved in the London cabaret scene in some way, who then draw up a longlist from nominees in November, which is reduced to a shortlist of three in each category in January in readiness for the ceremony in February. There are also two awards voted for by the public – the Audience Award and the Unsung Hero award. The 2014 ceremony was held at the Lost Theatre, a somewhat bigger venue than the first held on Battersea Barge, and was, as should be expected from such a colourful community, conducted with great panache and hilarity. The evening was very ably hosted by Myra Dubois who, as well as introducing the categories, provided some standout moments of entertainment herself. In addition to the occasional caustic jibe, her piece of ‘contemporary theatre’ on Margaret Thatcher, whose spirit she claims has entered her, nearly brought the house down. 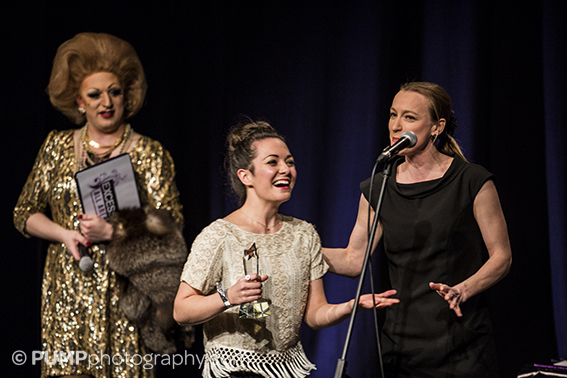 There were too many categories and shortlisters to go into here (see the full list with judges on the website), but some notable winners were Unsung Hero award winner Jo King, founder and principal of London Academy of Burlesque, Best Vocal Act Lady Rizo, and Best Drag Act La Voix. In between presentations were a number of acts, all of which entertained and kept the party atmosphere going. The standouts for me were The Tom Show, performing the seemingly impossible task of forcing his entire body through a broken tennis racket, and the youthful Tamar Broadbent. I have seen Tamar sing her song of teenage love at the amateur dramatics society before, but what struck me particularly on this occasion was her ability to charm a very different audience from the London Festival of Cabaret, where I first came across her, and deal with hecklers with a grace and confidence unusual in someone so new to the scene. 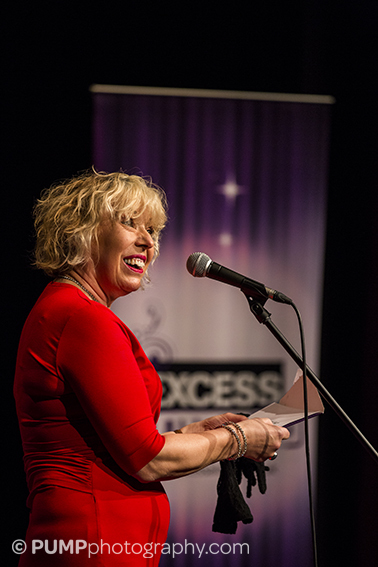 It was good to see stalwart songbook performers Barb Jungr and Adele Anderson amongst the presenters for the awards. Given the rift that was highlighted last year with the London Festival of Cabaret, and fully recognising the difficulties for the judges, it would be nice to see some songbook performers receive awards from the LCA, if only to be inclusive and welcoming to this wide community, and acknowledge the contribution made by those artists too. That said,it is no mean feat to organise, create and maintain momentum of events like these, which give cabaret a recognition long overdue. Long may it last and continue to grow, and all power to Paul L Martin for getting it going. 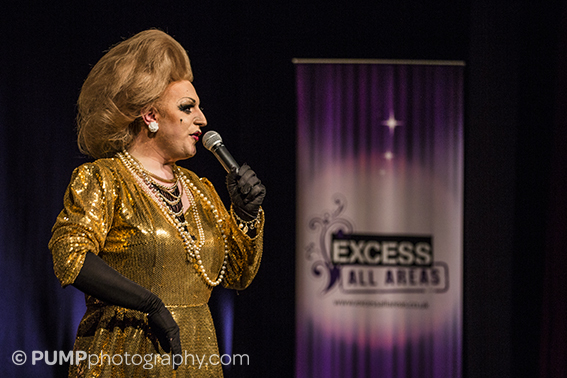 This entry was posted in Features - Theatre and Cabaret News, Uncategorized and tagged Adele Anderson, Barb Jungr, cabaret, Excess All Areas, fiona jane weston, Jo King, La Voix, Lady Rizo, London Academy of Burlesque, London cabaret, London Cabaret Awards 2014, London Festival of Cabaret, Myra Dubois, Paul L. Martin, Sarah Louise Young, Tamar Broadbent, The Tom Show, Tina T'urner Tea Lady, Viennese opera. Bookmark the permalink.